Solesbee’s blade-mounted dozer rakes feature a c-curve design that effectively windrows material while minimizing the amount of dirt pushed with it. Solesbee's, a Kinshofer company and manufacturer of heavy equipment attachments, offers blade-mounted dozer rakes as an efficient solution for land clearing, raking brush and piling trees and branches. The rake's c-curve design rolls brush and debris, making it easy to windrow material while minimizing the amount of dirt pushed with it. The rakes also feature an extended upright with multiple holes to easily mount on nearly any dozer blade without customization. 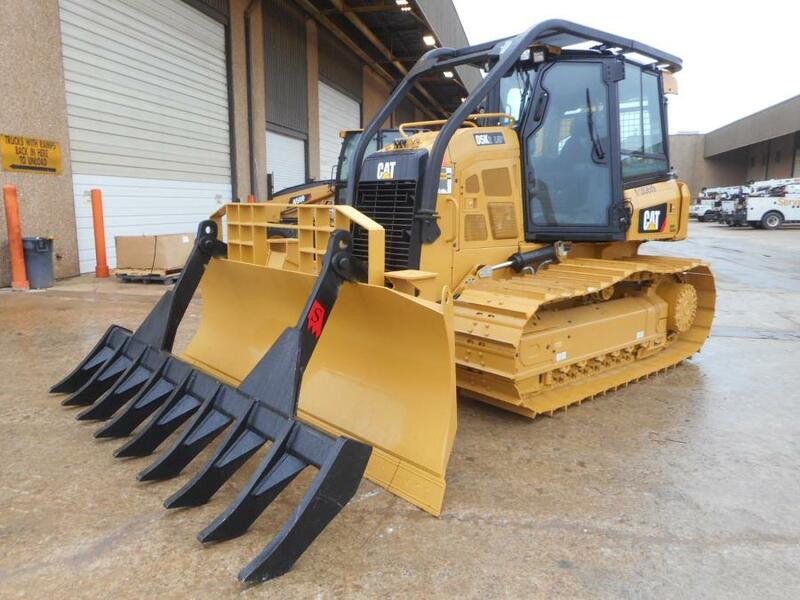 Solesbee's gives customers the flexibility to “customize” its rakes on site by lining up the holes on the extended uprights to nearly any dozer blade. It also includes everything needed to mount the attachment, such as pins and brackets. A qualified welder can install the brackets on the dozer in as few as two hours. Once installed, it's easy to manually mount and remove the rake as needed. For added versatility, additional bracket sets are available for use with multiple dozers or when upgrading to a new dozer. The rake is available with a full range of teeth for optimal debris clearing in a variety of applications. All rakes feature sturdy 2-in. (5 cm)-wide hardened steel teeth for lasting durability in harsh environments. Solesbee's standard teeth are 20 in. (50.8 cm) long, and optional 14- to 24-in. (35.5 to 61 cm) lengths also are available. In addition, customers can choose from a variety of teeth quantities and spacing options. For more information, call 800/419-8090 or visit www.solesbees.com.